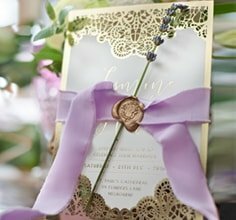 Let your guests feel ultra special by having then respond positively to your wedding invitation using this elegant rustic RSVP card. 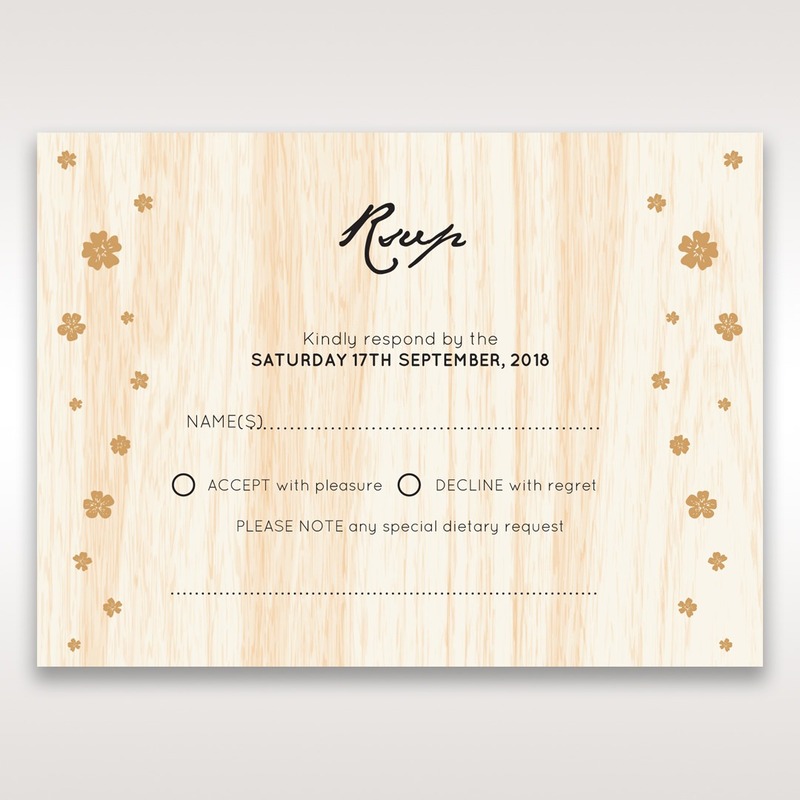 This woodland inspired wedding stationery features a wood pattern design as the background of a customisable RSVP wording while digitally printed gold flowers adorn the sides. The wooden plank style of this design offers a relaxing vibe that intriguingly balances flawlessly with the elegance and shimmer of the thermographic raised print. This card comes with a complimentary envelope that you can personalise by having your address printed on the front, allowing your guests to only accept or decline your invitation, pop the card into the envelope and simply send it back to you.